Permanent Collection of the Lower East Side Printshop, NY. While at the Lower East Side Printshop I focused on incorporating historical imagery into my work. 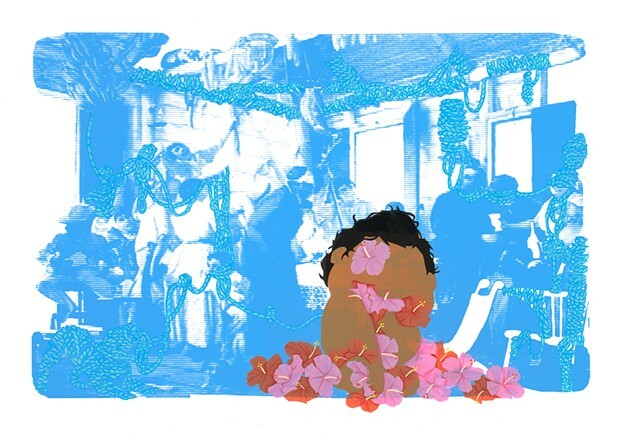 Using digital methods along with screen printing I was able to produce this piece that explores “El Velorio” (‘The Wake’) by Puerto Rican Impressionist Francisco Oller.